One hopes it will be the last. For if she gets her way, the outcome, taken to its logical conclusion, may be a financial meltdown rivaling the one a decade ago. When it comes to dysfunction on Capitol Hill, Maxine Waters lives it. In her nearly 30 years in the House of Representatives, she has displayed a clear pattern of demagoguery and self-dealing. Only weeks after President Donald Trump’s inauguration, she already was calling for his impeachment. Despite having no evidence of his misuse of office, she has not let up. Last June, she egged on young adults to surround and harass Trump administration officials spotted in public places. At least three times she has been cited by Citizens for Responsibility and Ethics in Washington (CREW) in the group’s annual list of the most corrupt members of Congress. She’s planning on using that gavel, too, especially to promote affirmative action. 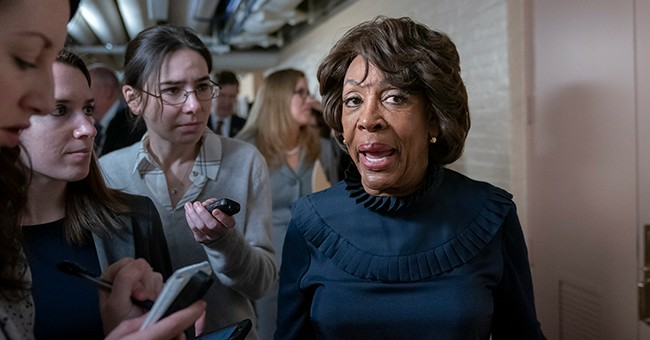 During her committee’s first markup session, Waters remarked: “I have proposed the creation of a new Subcommittee on Diversity and Inclusion, which will be dedicated to examining diversity and inclusion issues under the Committee’s jurisdiction.” Such circumlocution obscures her motive of forcing lenders to aggressively boost their volume of home loans to black and other nonwhite borrowers, regardless of creditworthiness. The words “inclusion” and “diversity,” as we have seen too often in corporations, on college campuses and elsewhere, are anything but benign in practice. They rest on the assumption that social inequality by its nature is an injustice, and that institutions perpetuating it, consciously or not, must be made to pay. The notion of mortgage credit as an entitlement gradually had been established by the Clinton and Bush administrations, and by Congress during those years. Credit allocation directives contributed mightily to the tanking of the financial services industry during 2008-10. Various studies, among them by the Department of Housing and Urban Development and by the Federal Reserve, already had concluded than when controlling for various borrower and property characteristics, race does affect mortgage default rates. And whites had significantly lower rates than blacks or Hispanics. Rep. Waters, like many of her colleagues, learned nothing. In mid-2010, during House-Senate conference sessions for the Restoring American Financial Stability Act (i.e., the Dodd-Frank Act), Waters helped shepherd into being the Financial Stability Oversight Council, which authorized the Treasury Secretary to review a troubled financial institution’s “importance as a source of credit for low-income, minority or underserved communities” prior to any federal takeover. She also inserted an amendment (Section 342) establishing an Office of Minority and Women Inclusion at the CFPB, the Treasury Department, the Comptroller of the Currency, Federal Deposit Insurance Corporation and other federal agencies. To ensure tough enforcement, the law read: “Each agency shall take affirmative steps to seek diversity in the workplace of an agency, and at all levels of the agency.” That we recovered after 2010 while avoiding another mortgage collapse owes nothing to such mandates or the eternal wisdom of Barack Obama. The Great Recession of a decade ago resulted from what economists call “moral hazard.” It’s a complex concept, but it boils down to this: People are more careless with other people’s money than with their own. An over-leveraged banking industry, having been pressured into complying with “diversity” mandates, was on the verge of collapse. Congresswoman Waters’ newest initiative might eventually lead to history repeating itself. This congresswoman isn’t simply inviting moral hazard; she is a moral hazard.